I often get asked about training for new strategists, or if I could recommend books for new strategists to read. On Competition, by Michael Porter: Porter's work is often criticised, and many other authors claim to have improved on it, but let us not forget that Porter remains the benchmark they are trying to beat. His style is, unfortunately, not the most gripping, but the insights he offers are essential grounding for any strategist. The Balanced Scorecard, by Robert Kaplan and David Norton: While Porter lays out the grounding for strategy analysis, Kaplan and Norton set the benchmark for articulating strategy in a way that eliminates ambiguity and ensures it will get delivered. Once you've read The Balanced Scorecard, consider also its sequel, The Strategy-Focused Organisation, by the same authors. Business Model Generation, by Alex Osterwalder: Oswerwalder tackles the tricky problem of how to ensure your strategy gets delivered in a functioning and fit for purpose organisation. Business Model Generation is a practical text which is elegant in its simplicity. If you're looking for more after reading this, consider also Operating Model Canvas by Andrew Campbell, Mikel Gutierrez and Mark Lancelott. Good Strategy, Bad Strategy, by Richard Rumelt: For me, the most interesting aspect of Rumelt's book is how clearly he spells out the mistakes organisations typically make in developing and executing strategy, and the consequences of doing so. A strategist needs to know not only what they should do, but also how to avoid these common mistakes. There, are, of course, many other good books on strategy. I have reviewed many of these elsewhere in this blog. A strategist should remain a permanent student, and read as widely as possible. However, if you just getting started, these four books should provide you with the grounding you need. 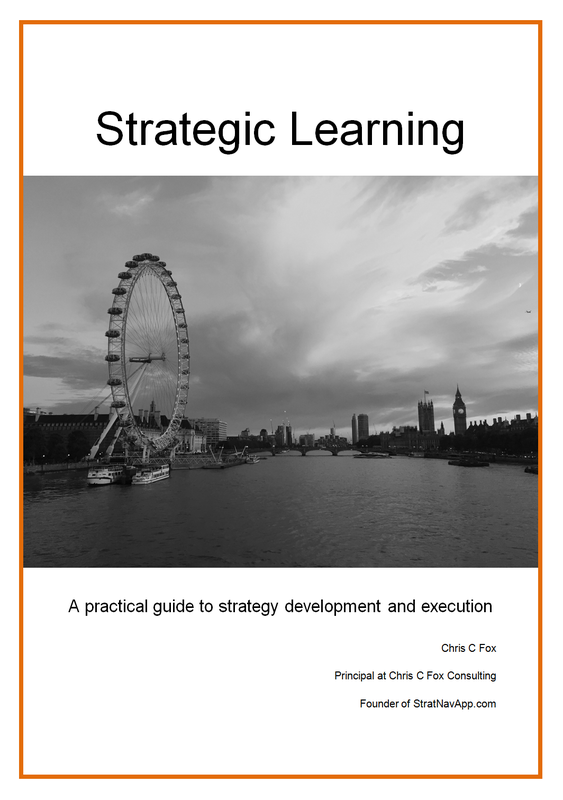 Don't forget, of course, that there is also this blog, and I also offer a free ebook about strategy development and execution. Please let me know, in the comments below, your thoughts on any of these books, or which other other books you think I should have included on this list.